Yeah everyone should care, the accumulation of the little things people ignore are the foundation of catastrophic global dilemmas. Despite the advantages that business offers the modern society, we should not turn a blind eye to the challenges and the negative impacts prevalent in the environment. Environmental pollution is a daunting challenge that should be of concern to everyone (Islam). It is not prudent to view the pollution in the environment as merely the eradication of indigenous species that one is not familiar such as a toad in the Amazon. 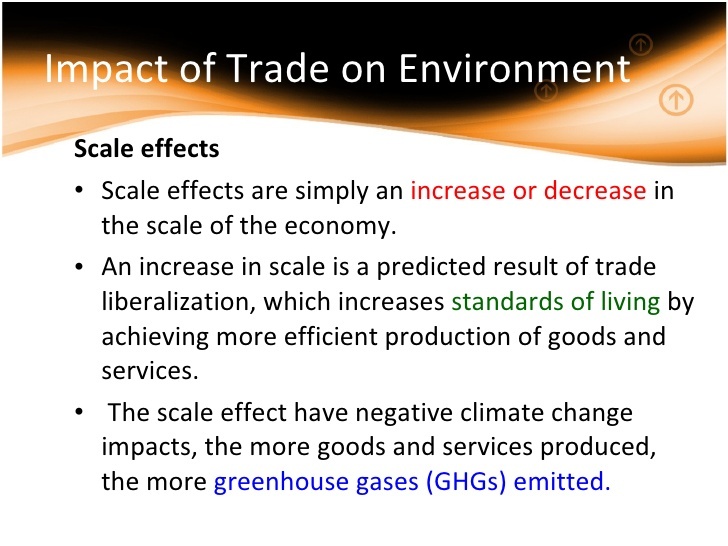 On the contrary the challenges that pollution poses to the environment such as global warming and climatic changes do not give trade a free pass to destroy natural habits in the name of providing higher living standards (H. Egger, Jessberger and Larch). From an ethical and moral perspective, it is the duty of mankind to preserve the environment for current and future benefits. When this fundamental rule becomes violated, it begs the question of to what extent man will go to satisfy their personal gain. Trade, and especially global and international trade is meant to eliminate unfair trade through raising the economy of the developing and developed nations. However, in an effort of attaining this balance, there are challenges and repercussions that trade offers. For the developing countries to salvage their national debts against the developed nations, they aim at exporting more than they import to achieve the balance of trade. One should note that a majority of these countries, mainly located in Africa are solely dependent on agricultural products as the commercial trade items. To attain more output, they adopt corporate farms to enhance mass production for export (H. Egger, Jessberger and Larch). The farming of horticultural products, which is a lucrative business in these countries increases the use of pesticides and energy consumption and environmental production standards become ignored. The result is the release of untreated chemicals into the environment causing pollution and inherently global warming. One wonders about the impact of the developing nations to the developed countries. The answer is simple, developing nations export their products to developed countries for productions and refinement. In these countries, there are large multinational corporations responsible for processing the raw materials into finished goods. Here, products such as pesticides, drugs and other industrial chemicals are produced (H. Egger, Jessberger and Larch). There is increased release of unwanted waste products to the environment, untreated chemicals and smoke which pose an adverse impact to the environment. When global warming occurs, not only are the effects felt by indigenous species, but also by every living creature under the care of the environment. Global warming is the basis of climatic changes. When the climatic pattern changes and becomes unpredictable, it becomes hard to produce consistent food products. When the agricultural producing countries are unable to meet the demand of their country, they have nothing to export and the effect global felt (Islam). The result increase in world poverty as countries are no longer transacting fairy. Every state plays a role in influencing the environment (H. Egger, Jessberger and Larch). Both industrialized and developing nations should, therefore, collaborate in reducing the impact their economic activities have on the environment. In conclusion, the quest for sustaining the ever recurrent human needs imposes strain on the available financial resources (Islam). It is evident that natural resources such as water and air are constant. However, human needs and wants keep on increasing due to increased population and the need for satisfaction and a better life. The quest for achieving this with limited resources stretches the available resources causing catastrophic environmental challenges such as climatic changes, environmental pollution and global warming.